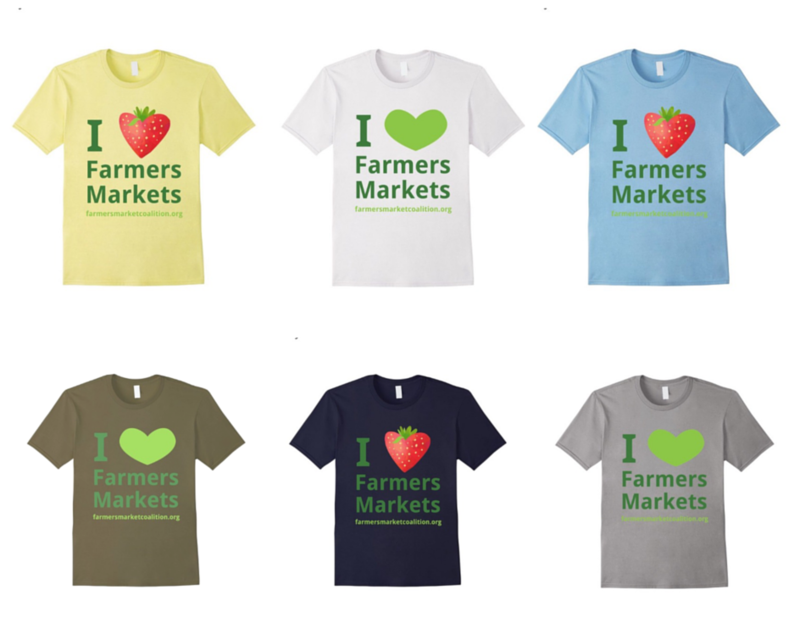 We’re now offering fellow market fans a great way to broadcast their love for local food with our “I Heart Farmers Market” tees. What better way to help us celebrate (and show off your own pride) than gearing up with the very latest in farmers market fashion? Our tees come in two styles in men, women, and child sizes; so grab one for you, a friend, a farmer, or even your whole family. They make excellent gifts or prizes and are sure to grow old with love as only favorite tees do! These shirts are printed on demand via Amazon services, so you can order them via the links below.